Dear Corper, How To Cope as a Teacher - Corpr! Most Corpers will teach in schools. That’s even more probable in this era where primary schools can expect to get Corpers. As such, you will likely deal with children, a special set of individuals. Some of your students will be stubborn, abusive, dull, ungrateful, etc. How can you cope with all these? Below are tips on how to cope as an NYSC corper-teacher. NOTE: Not all your students will exhibit the traits above. 1. Don’t look down on any of your students, whether poor, dull or local. Remember, at least, one of the presidents to ever rule this country once had no shoes. Don’t show favoritism. Treat each of them with courtesy. Regard them as your own siblings. 2. Be friendly to your students and let them know they can approach you for legitimate assistance. Show empathy, some of the children are passing through a lot because of their surroundings: poverty, malnutrition, diseases, etc. 3. Cover everything in the curriculum. Don’t shortchange your students. Remember you are contributing to their future. 4. It is smart to let local teachers handle corporal punishment (if applicable). As a Corper, I was advised by some local staff to avoid caning students. 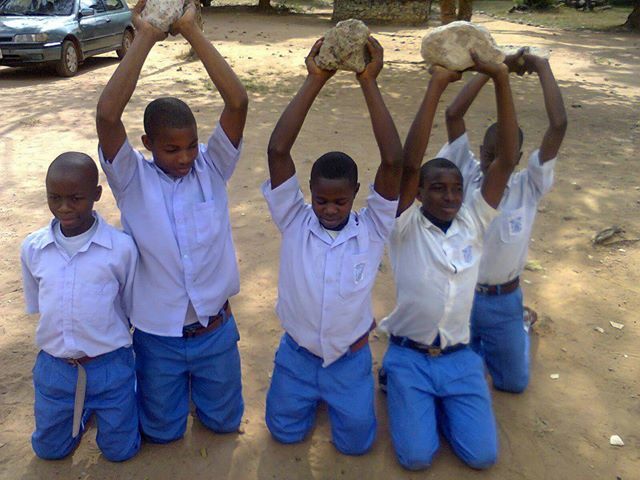 Cultism is rampant in rural communities and boys are always looking for victims to prove their wicked prowess. Remember you are more or less a foreigner and quite vulnerable. But don’t worry, every school has the caning specialist that derives joy from beating students. Enlist his or her help. 5. As to enforcing discipline, beating is not the only form of punishment, except you are a sadist. 6. The notion that African children will not comply with anything until they are beaten is NOT true. I used to be an African child, so I know this. 7. Don’t give up on the dull ones. Your persistence maybe the motivation they need to make something useful of themselves. 8. If it appears you are not seeing positive results for your labor, don’t torment yourself. Student performance is not necessarily an indicator of your abilities as a teacher. And you are probably not trained for teaching. 9. It’s not everything your students say that you take personal. Some things can be overlooked with dignity. You know you are dealing with kids anyway. They are kids, not mini-adults. Learn to deflect or even ignore some misbehavior. 10. Set reasonable limits in your interaction with your students. Too much familiarity breeds contempt. If you become the joking, playful Corper, you might not be able to command the respect or attention that a teacher needs to run a class. 11. Show personal interest in your students but don’t attempt to run their lives. Remember you are in reality only passing by. Let their parents do so and offer assistance if possible. 12. Don’t belittle fellow Corpers in the presence of your students. 13. Dating one of them is one of the dumbest things you can do during your service year. Year after year, we hear stories of corpers being killed or beaten because they impregnated or were dating a local-champion’s girlfriend. Be careful. 14. Lastly, don’t destroy the reputation of NYSC before leaving your PPA so as not to cause problems for future Corpers. ANOTHER NOTE: NYSC has a guide for teaching Corpers. You will likely get a copy in camp. Try to read it. Do you have more tips for us? Pls post them in the comments so we can add them. Next story 2014 Batch B POP? Ready? July 2nd! !